Flamenco is a traditional style of Spanish folk music originating in the region of Andalucía around 500 years ago. This very flamboyant, seductive art thought to have been originated by Romani gypsies includes singing (cante), guitar playing (toque), dancing (baile) and handclapping (palmas). the most common dress usually features a polka dot pattern, their hair will be in a tight bun and they will always be wearing high heels.The word ‘Flamenco’ conjures up images of swarthy skinned dancers in colourful gypsy style dresses with silk shawls performing a type of mysterious dance. Accompanied by male guitarists and singers in dark suits. Flamenco is actually quite misunderstood and it is only in more recent years that it has become popular all over the world; in fact apparently Japan has more flamenco academies than Spain. If you are lucky enough to be in Andalucía during one of the many fiestas you'll see the local women and children parading the streets dressed in beautiful brightly coloured Flamenco dresses, the most common dress usually features a polka dot pattern and their hair will be in a perfect bun. This tradition is taken very seriously in Spain with some dresses costing thousands of Euros while others have been passed down through many generations. 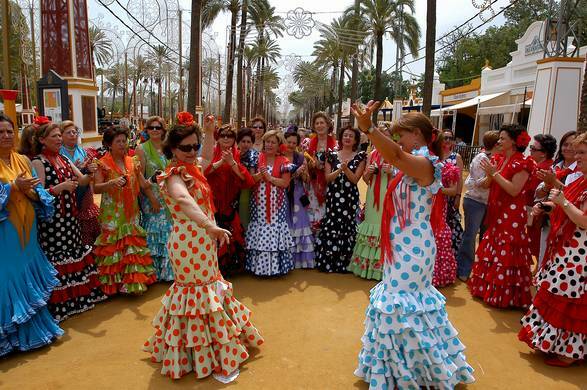 There are many flamenco shows during the summer months in Spain although some will not show ‘true’ Flamenco. So I have put together a guide to the best places in Malaga, Granada and Seville to see this ancient Andalucian tradition in its truest form. this is where you will get to witness ‘true’ Flamenco What better way to experience a flamenco show than out in the open air during the warm summer months. The month long Bienal de Flamenco is held in Malaga every other year and attracts some of the best flamenco artists in Spain. 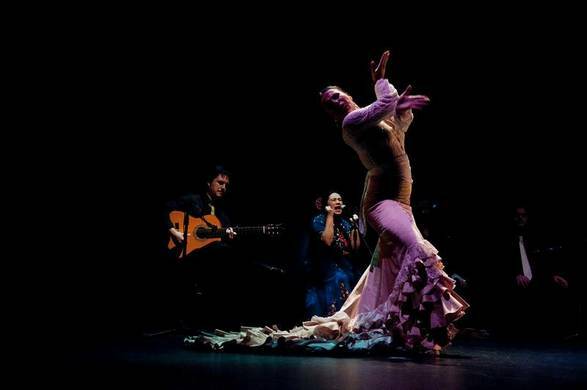 The event is held in Malaga city itself bust also in nearby towns such as Nerja, Fuengirola and Ronda, this is where you will get to witness authentic Flamenco dancing. The last event was September 2017 and will return to Malaga in 2019. Tipi Tapa is a very well established restaurant in Fuengirola with an excellent reputation for offering a superb selection of over 150 different tapas. 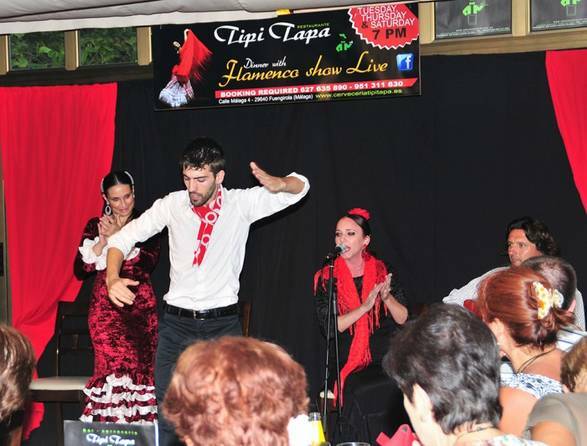 It offers weekly Flamenco shows usually Tuesday, Thursday and Saturday nights. 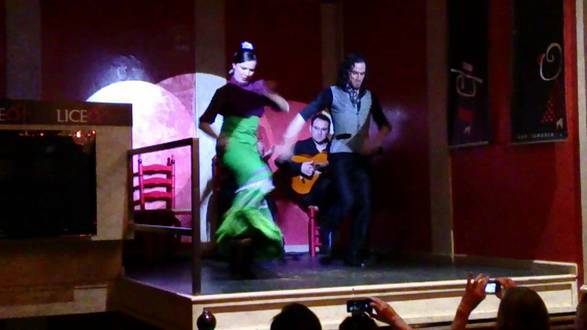 The flamenco here is refreshingly authentic and consists of dancers, singer and guitarist. The show lasts for approximately 1 hour and prices start from 20 Euros, the great thing about the shows at Tipi Tapa is the fact that they start at 19.30…great if you have young children. 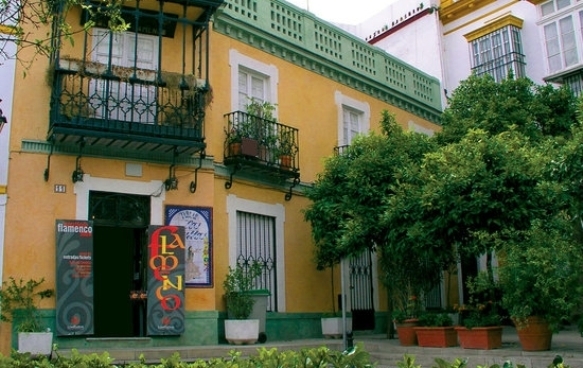 The home of live Flamenco in Malaga city, Los Amayas offers two flamenco shows every evening named ‘Picasso and Flamenco' paying tribute to the Malaga born artist. Los Amayas is the perfect place to see some truly authentic flamenco at its best; show times are nightly at 7pm and 9pm and include the show with a drink for 25 Euros. Held in the Fortuna room of the Torrequebrada hotel, this popular flamenco show performs throughout the summer months and has twice nightly shows at 9pm and 10.30pm. The show itself is a Carmen Mota Ballet production and takes audiences through a range of Latin American dance and Flamenco. The performance starts with a range of Spanish classical styles of Flamenco followed by a mix of different styles popular in South America but introduced by Spanish emigrants. 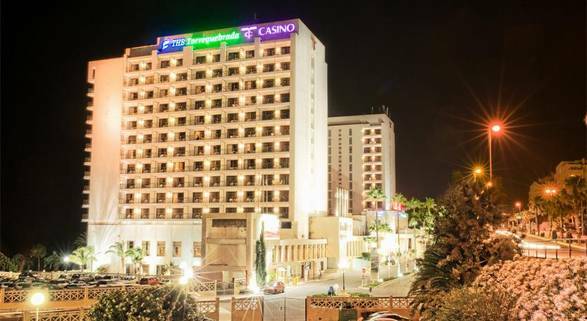 An excellent venue which was specially designed for this event and afterwards guests are invited to enter the hotel casino free of charge. Ticket prices include a drink and start at 21 Euros. a tribute to an old famous cafe ‘Chinitas’ in Malaga A large venue with 40 years experience located in a village of Alhaurin de la Torre a few minutes in land from Malaga. The show featuring 11 different artists lasts around 2 hours and is a tribute to an old famous cafe ‘Chinitas’ in Malaga which was a meeting point for actors, writers and flamenco artists who put on performances here. The restaurant at Sala El Embrujo has designed several different regional menus to create an authentic experience which is a perfect accompaniment to the flamenco show; the service, food and of course flamenco here is excellent and is priced from 35 Euros. One of the best Flamenco shows in Granada has to be la Canastera “The Cave”. Steeped in history, the cave was once the home of Maria and her family, by night tourists would come to the cave to witness Maria perform her unique and mesmerizing Flamenco. 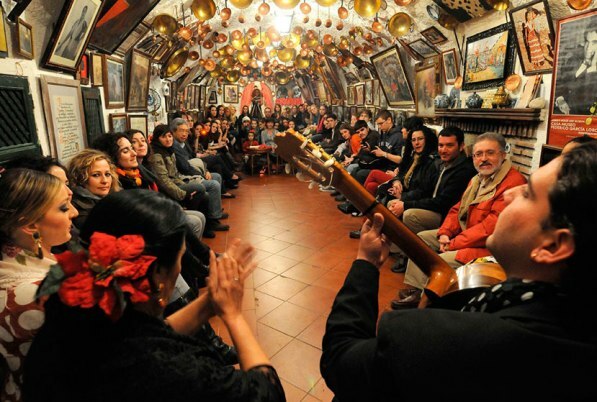 Preserved in its original features by Maria's son, the cave is still home to the best Flamenco show for miles around and now features 7 artists performing singing, dance and guitar. Combine this fantastic Flamenco show with a visit to the famous Alhambra Palace of Granada, the perfect day to experience the rich culture and history of this beautiful city. The Tablao Flamenco Los Gallos is the oldest Flamenco show in Seville and is one of the most respected internationally. There is such high demand for this show that every night there are two performances each lasting an hour and a half at 8.30pm and 10pm, priced from €35 including a drink. The building itself is in a beautiful square int he heart of Seville and the intimate room provides a fantastic atmospheric performance you will never forget. My wife an I are heading to Malaga, then Ronda, December 13 – 22. Were is the best place to see Flamenco? We’re interested in seeing the real thing, preferably not in a crowded tourist bar. Thank you. Hi Lenny. I would say for the most authentic/least touristy show in Malaga I’d go to Tablao Los Amayas (previously Liceo). It’s sole purpose is Flamenco and booking here is advised because even though there are generally 2 shows nightly its popular. You will probably find some tourists but many Spanish come to enjoy the show too. It’s a great place to see a really authentic show and is definitely not a tourist bar. Have a great holiday and let me know if you see a flamenco show and what you thought of it. I have just seen some amazing flamenco dancing in my hotel in Nerja.. but I don’t know the name of the troupe.. just that the leader is a “gitano” dancer and dance teacher from Barcelona.. called Sara (or Sarah). The troupe was 3 females – one quite young – and one young male dancer. Do you have any idea what their name is? And where I could see them again? 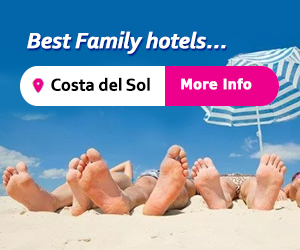 They must dance in hotels along the Costa Del Sol.. maybe they are based in Malaga? 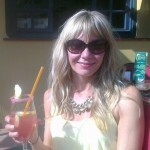 Hi Sue, how fantastic that you saw some amazing flamenco in your hotel, which hotel was it if you don’t mind me asking? The only Flamenco dancer/teacher I know by that name is Sara Baras but I believe she is from Cadiz. She does travel around Spain so it may well have been her you saw. Sorry I’m not sure how else to find out other than asking at the Hotel. Often hotels advertise shows so they may have their details on a flyer or on their website. I will be stopping on my way back to the US for a few well deserved days of rest after a month of working in Nigeria. My ancestors are from Malaga and I would like to see some very authentic parts of where my family came from. Any advice on where to stay and what to see? Any info is greatly appreciated!! Hi Jason. Thanks a lot for reading my post and commenting, I’ll try to help you in the best way I can to get the most out of your trip and to see the best of Malaga. 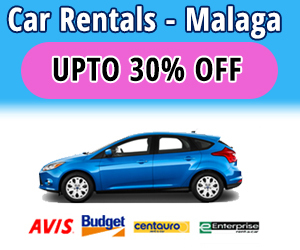 Assuming you are planning to stay in Malaga city itself I have based my hotel search around this area for you and picked out some fantastic hotels. Just to let you know, if you are coming end of March its a busy time in the city as its Easter holidays and the city gets quite bustly with people so book up as soon as you know your dates. There are loads of great places to stay and Malaga is fantastic because as long as you have a good hotel base you can walk around most of it, best way to see the city in my opinion anyway. From the link above, some of the best are AC Marriot – great rooftop bar with amazing views over the port, centrally located. Petit Palace – Beautiful old 20th century palace converted into a hotel, mix of old and new, just off Calle Larios, again perfect location. 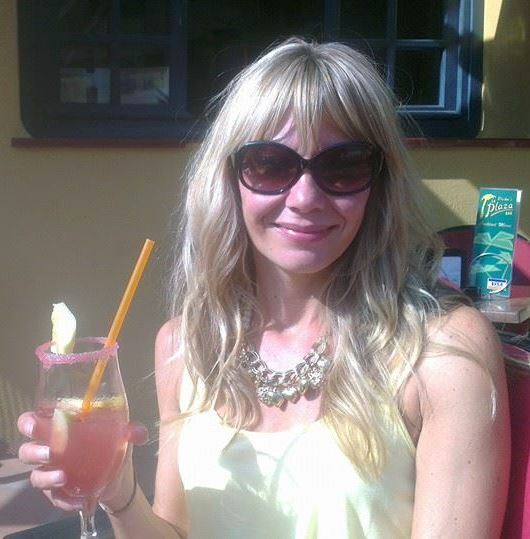 Room Mate Valeria – Opposite the port, great views, modern hotel with a nice rooftop bar/pool. If your budget will stretch then the ultimate choice would have to be the Gran Hotel Mirimar – this is absolute luxury, just look at the pictures. In a ancient listed building opposite the beach and a few minutes walk to everything, this hotel has serious wow factor. It would make for a truly fantastic place to stay. All of the mentioned hotels are in the link above. For things to do, you are quite spoilt for choice, did you get chance to read my article about Malaga? There’s a lot of info about things to do to in the post, the Alcazaba fortress is a must do while in the city. Climb to the top of the Malaga cathedral, eat tapas at El Pimpi, visit Picasso’s birthplace and museum, stroll around the impressive port. One thing I didn’t mention in the post was the Arabian baths. After your long stint working, spend the afternoon here in the beautiful relaxing pools, drink some tea and book in a massage which are excellent from experience. Also consider booking a tapas tour or a bike tour with tapas tasting, these guys have a wealth of knowledge on the city and will take you to some really authentic places. Book it on your first day to get a good feel of the city. You really can’t get lost in the city, the architecture is beautiful, the food is fantastic and there’s so much to see and do in your short space of time. I think you’ll have an amazing time and i hope i have been of some help. Please let me know how your trip goes, Id love to hear all about it and what you thought of Malaga. If you have any more questions please come back to me. hi, i really don’t know. Try this list of TV channels in Spain to see if you recognise any of them.